Today's attendees crave events that get people involved and provide a more interactive environment. They want to get their hands dirty, rub elbows with the locals, and have one-of-a-kind interactions that they'll be talking about with their colleagues for years to come. 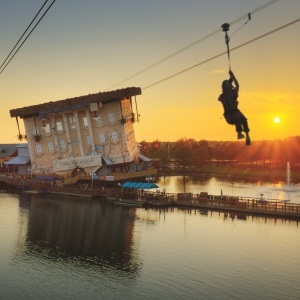 Experiential Meetings: Best Practices for Creating Travel Experiences with Lasting Impact is brought to you by Myrtle Beach Area Convention and Visitors Bureau. "People go to a meeting and think, 'Yeah, I want to learn something and I want to stay in a nice hotel room, but it's got to be something more than that," says Kevin Hinton, CIS, Chief Excellence Officer for the Society for Incentive Travel Excellence (SITE). "They want to have a more meaningful experience that they can emotionally connect with." But how does a planner make that happen? By weaving the key components of experiential travel into an event. Experiential travel allows people to focus on enjoying a particular place by connecting to its history, people, and culture. And it's become a huge trend. Meeting planners can use a variety of tactics to give attendees a more localized experience, ranging from taking them on behind-the-scenes tours led by a local historian to arranging for a dining experience that's authentic to the area. 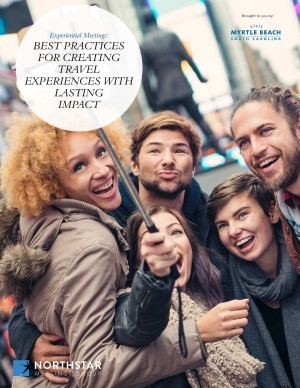 Northstar Meetings Group presents a guide to best practices for creating travel experiences with lasting impact, including a 12-point checklist of the components needed for a successful experiential event.